A great summer camp should be a safe and magical place where girls and boys can make friends, discover new passions and learn to be independent. Here, they are taught values such as teamwork and cooperation – all while surrounded by majestic lakes, mountains, woodlands and wide-open spaces so often lacking in congested cities. More often than not, kids find out who they are and what makes them tick. Here, in no particular order, we look at 50 of the most incredible summer camps in the United States. 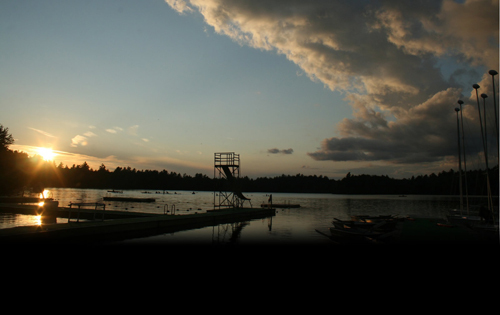 Tripp Lake Camp in beautiful Poland, Maine describes itself as “one of the finest girls’ camps” in the area. 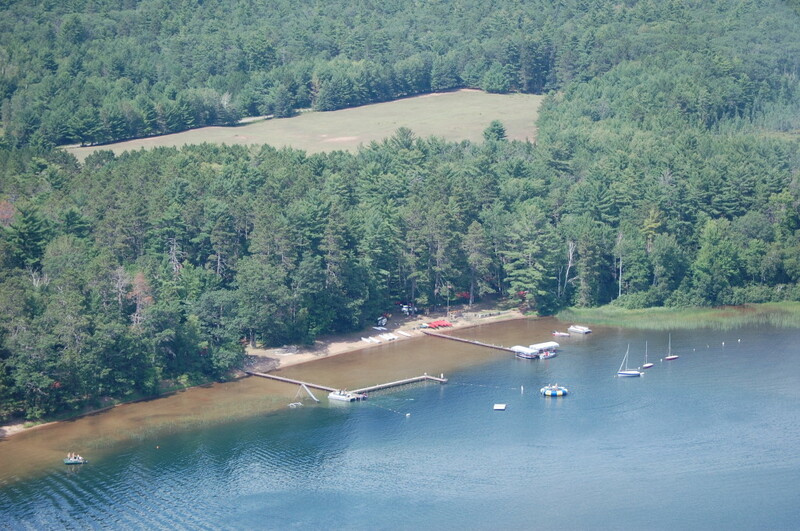 Located on picturesque Tripp Lake, the camp is “nestled among majestic evergreens,” according to its website. 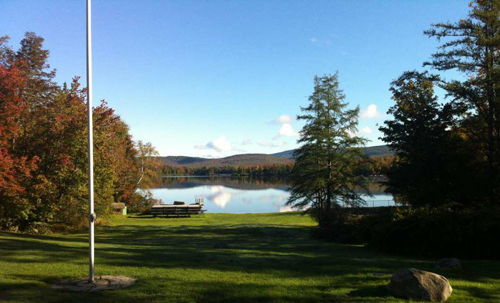 Tripp Lake Camp was established by Eva Rosenheim in 1911, and today it promises “a culture built on timeless values.” The camp places importance on forging new, lifelong friendships, explaining that its campers – aged seven to 16 – “gain confidence from navigating new situations… [and] emerge self-assured, caring and well-rounded.” One camper seems to agree, saying, “Without this place I would only be one percent of who I am today.” Activities include archery, basketball, soccer, equestrian pursuits, kayaking, canoeing, waterskiing, and art and theater options. 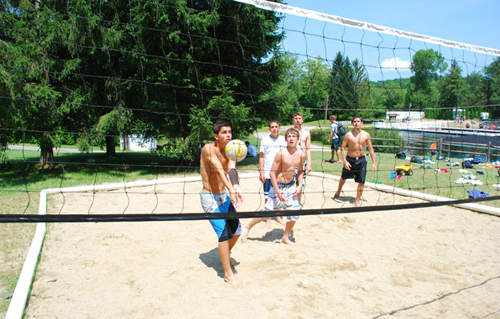 Tripp Lake Camp is certified by the ACA (American Camp Association) and also runs a winter program in Armonk, New York. 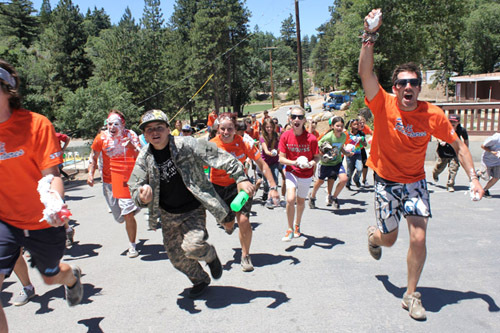 This Sanger, California-based youth getaway aims to “challenge individuals and influence the future.” River Way Ranch Camp caters to seven- to 16-year-old boys and girls and is hailed by both parents (Mom’s Best Award 2011) and visiting international staff (CCUSA Spirit Award 2011) as one of the best camps in the nation. 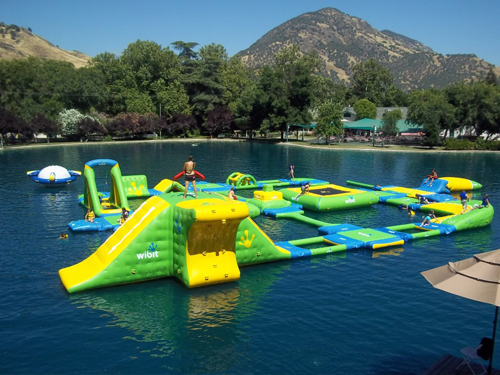 Based at the Wonder Valley Ranch Resort and Conference Center, its activities range from martial arts and mini-bikes to horse jumping, riflery, archery and soccer. Arts and crafts endeavors include photography, yearbook design and digital graphics, while River Way’s lake program offers campers fun pastimes such as kayaking, sailing, swimming and “raging rapids waterslides.” ACA-certified River Way was established in 1967 and also operates international tours in the U.K., Australia and New Zealand. Established in 1916, historic Raquette Lake Camps offers two separate experiences – for boys and girls, respectively, aged six to 15. 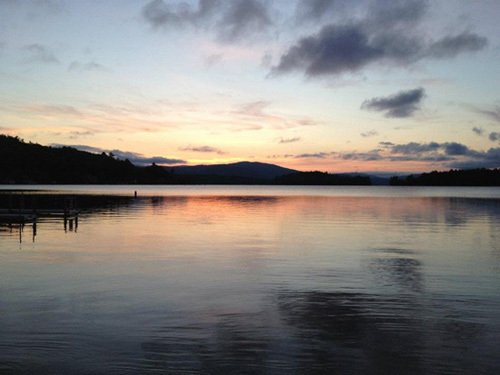 All this happens near New York State’s picturesque Raquette Lake in Hamilton County. 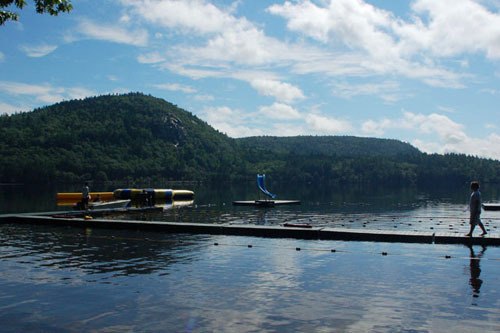 According to its website, the ACA-certified camp provides “a place where children can learn how to make friends, challenge themselves, learn new skills and become independent, responsible adolescents.” Raquette Lake Camps’ extensive waterfront means that kids can power boat, sail, wakeboard, canoe and kayak to their hearts’ content. Meanwhile, back on land, a fully equipped sports complex accommodates activities such as basketball, archery and hockey. The camp’s well-rounded programs also include arts and crafts pursuits like ceramics and woodworking. ACA-certified Camp Chief Ouray in Granby, Colorado says on its website that “camp is kinda like regular life, except way better.” The YMCA camp – which welcomed its first campers in 1908 – was named after celebrated local Native American leader Chief Ouray and was originally based north of Granby, close to the Colorado River. 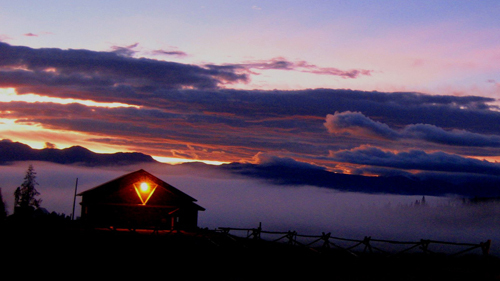 Since 1980, it has been situated at the Snow Mountain Ranch, to the southeast of the town. “Boredom is simply not an option,” explains the camp’s site, which touts its idyllic mountainous setting with its rivers and pastures. Camp Chief Ouray accommodates boys and girls aged seven through 17, and its activities include options like leadership training, horseback riding, trekking and backpacking. As well as its traditional summer camp program, Chief Ouray also offers older adult and family camps plus a women’s fitness camp. Southwoods has the largest ski boat fleet in camping with seven motorized boats including five competition rated Ski Nautiques providing expert instruction in Waterskiing, Wakeboarding, private Slalom course racing, Knee boarding, tubing and the newest water sport Wake surfing. Activities include a wide variety of land and water sports, artistic pursuits, outdoor adventures, and nature- and community-focused programs. 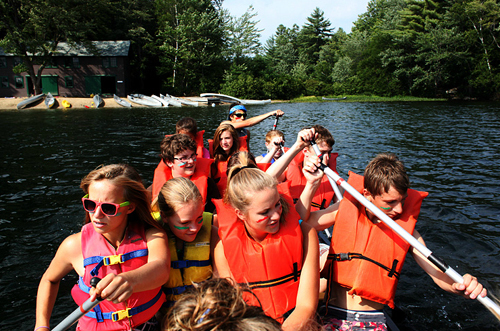 ACA-accredited Camp Takajo in Naples, Maine describes itself as “one of the finest boys’ camps” in the state. Camping enthusiast Morty Goldman set up Takajo in 1947 “to create a well-rounded summer program in which each boy could develop independence and self-reliance in a nurturing, supportive environment.” Divided into three age-specific sub-camps, Takajo accommodates boys from seven to 15 years of age and is set in beautifully wooded lakeside surroundings. Activities include water sports, exploration of hobbies and skills, and pioneering. Takajo prides itself on its ability to build character through its focus on tried-and-true values like honesty, decency and empathy, and it attempts to help instill each camper “with a strong moral compass.” Ultimately, though, as one parent points out, it’s the people who make Camp Takajo what it is. 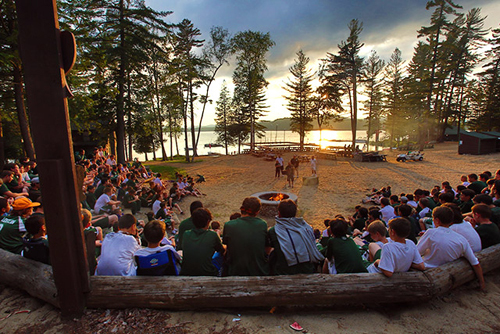 Camp Timberlane in Woodruff, Wisconsin, offers a traditional sleepaway camp experience for boys aged between eight and 15. “Tucked into the pine and hardwood forests of Wisconsin lies the secluded Lake Towanda… home to the classic northwoods Camp Timberlane,” writes Lantern Camps. Meanwhile, Timberlane describes itself as “a place to be yourself, have fun and make the best friends you’ll ever have.” Set up in 1961, the camp stresses the importance of non-competitive “teamwork, sportsmanship and fun” and treats all of its 165 campers equally. 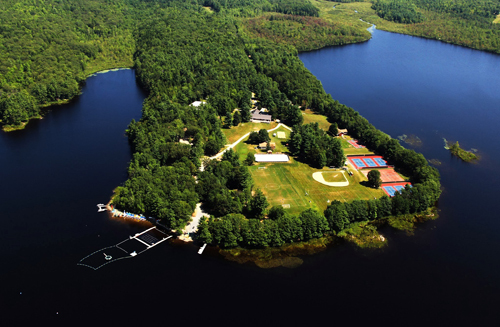 As well as lying on Lake Towanda, the camp’s nearly 300-acre, tree-hemmed campus features modern cabins, four tennis courts, two basketball courts, athletics fields and a beach volleyball court. 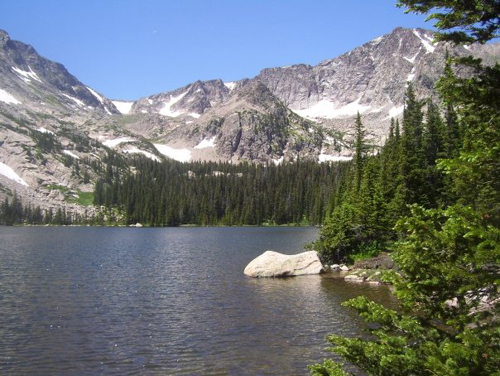 Timberlane also offers three- to 12-day “canoeing, backpacking and rock climbing trips” headed as far away as Canada. 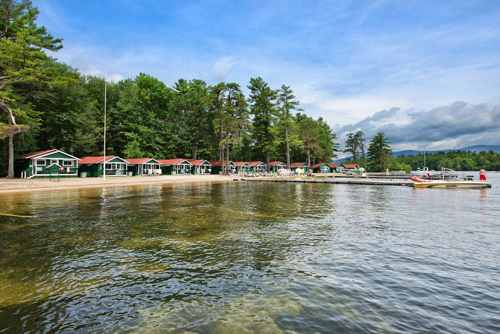 ACA-accredited Camp Winnebago in Fayette, Maine was founded in 1919 by Frank L. Guggenheimer, who is still fondly referred to as “Chief.” Surrounded by pine trees and set on beautiful Echo Lake, Camp Winnebago is the perfect summer getaway for boys aged between eight and 15, with up to 160 attending each session. The 400-acre campus contains more than 65 buildings. What’s more, facilities include a photographic dark room, a theater, a camp radio station, seven tennis courts, three baseball fields, a pair of soccer fields, two basketball courts, and a fully equipped waterfront that features a “floating pool built into the lake.” Camp Winnebago promises to leave campers “brimming with confidence, happiness and lasting memories.” The camp seems popular, too, as according to its official website, the return rate is 90 percent. Brant Lake Camp in New York’s Adirondack Mountains describes itself as “a top-tier private resident camp for boys ages seven through 15.” Founded in 1917, the camp operates under three core values; “a safe and healthy environment,” a “fun and positive experience,” and “exceptional instruction and sports participation.” Its beautiful campus boasts a wide selection of land sport facilities for its 400 campers, including 17 tennis courts, three baseball fields, two soccer fields, eight basketball courts, a climbing wall, an archery range and a roller hockey rink. Meanwhile, the waterfront has a “water basketball area,” a fishing dock, a fleet of boats, and a waterskiing and wakeboarding area. 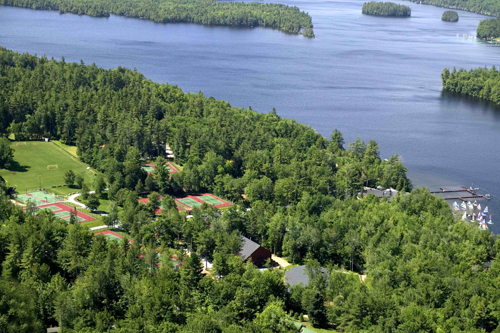 All this, and Brant Lake Camp also features a fitness center and an arts and crafts space. A much-loved tradition is the summer “Color War” between those in green and gray, involving special points-scoring events such as a song contest and rope burning. 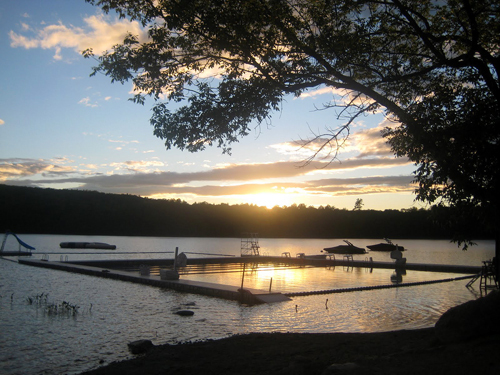 Located in the scenic Berkshires highland area of western Massachusetts, Becket-Chimney Corners is a Brother-Sister and YMCA-run summer camp whose origins date back to 1903. The ACA-certified facility – which sprawls over 1,400 acres – was initially known as Camp Becket for Boys, but in 1931 the Chimney Corners Camp for girls was added. In 1972 the YMCA came into possession of the previously privately run combined retreat. Camp Becket promises boys “a traditional, rustic overnight camp experience… providing leadership programs and other activities that help shape young boys into strong men.” Meanwhile, Chimney Corners is described as “a place where girls have spent their summers learning, laughing and building life-long friendships.” Both the boys’ and girls’ camps offer an arts center, athletics courts and fields, and a woodshop, among other facilities. 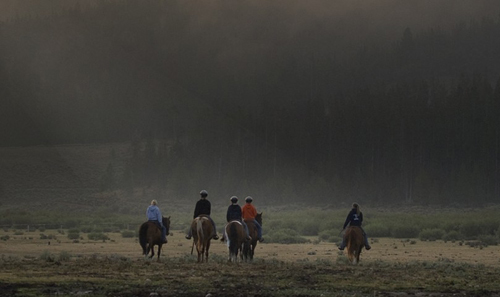 Teton Valley Ranch Camp (TVRC) in Dubois, Wyoming offers kids aged ten to 16 a chance to get in touch with their inner cowboys and cowgirls and escape the monotony of everyday urban life. TVRC was set up in 1939 as a boys’ camp where youngsters could learn about the pioneering spirit and traditions of the Old West. In 1947 the camp was opened up to girls as well, and it now welcomes 135 of both genders to its summer sessions. TVRC uses the Wild West to help kids develop their physical and leadership skills: by the time campers leave, “the mountains, caves, rivers and valleys” will have brought them a sense of “untold freedom and responsibility,” we’re told. Activities include outdoor pursuits such as fly-fishing, riflery and riding, and campers stay in log cabins that add to the communal ranch-like feel. Camp Marimeta in beautiful Eagle River, Wisconsin is a private overnight summer camp for girls aged between seven and 15. The camp was founded in 1947 near the secluded Meta Lake and is surrounded by northern Wisconsin’s sprawling North Woods. The ACA-certified camp states on its website that it aims to foster “friendships that will last a lifetime,” in “a warm, caring environment.” Facilities for Marimeta’s 170 campers at a time include four lit tennis courts, a lit basketball court, athletics fields, a climbing wall rising to 31 feet, and riflery and archery ranges. Marimeta’s Recreation Hall is the setting for the camp’s gymnastics, aerobics, yoga and dance programs. Naturally, there are also a host of water sports activities to try on the lake – including boating, windsurfing and tubing – while a slide attached to the dock adds to the fun. Camp Sangamon is a summer camp in Pittsford that dates back to 1922 and accepts boys aged between nine and 16. 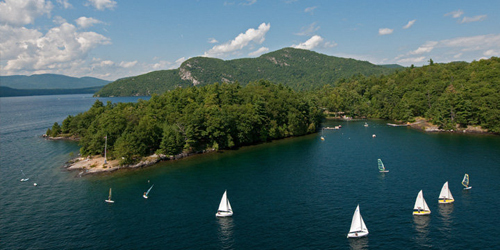 It offers attendees a chance to forge new friendships and – both through a specific leadership program and more generally – to welcome responsibility, amid the majestic lakes and hills of Vermont. Sangamon prides itself on the fact that its 125 campers get to decide what they want to do and where they want to do it, further emphasizing the importance of choice and initiative. 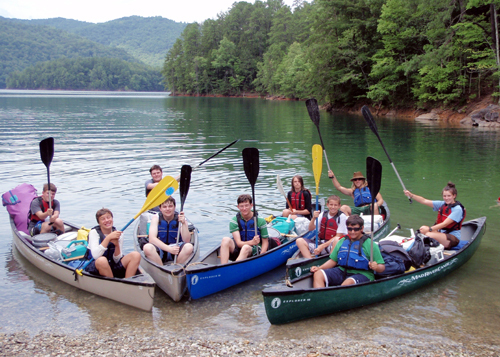 The ACA-certified camp offers activities such as canoeing, kayaking, sailing, archery, tennis, mountain biking and hiking. Sangamon also features farming and gardening programs, as well as creative arts options like photography, drama, pottery, weaving and woodworking. 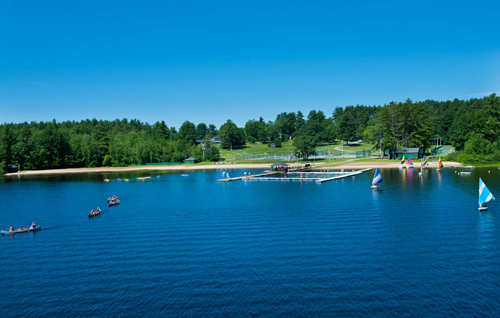 Camp Wicosuta, in Hebron, New Hampshire, is a four-week, ACA-accredited camp for girls aged between six and 15 that promises attendees “the time of their lives.” Established in 1920, it delivers a long tradition of morale- and spirit-boosting activities for up to 270 campers per session. According to its official website, the “goal is for every child to walk away feeling confident,” and it aims to get kids to surpass “their self-set limits.” Boston magazine describes the camp as being “more like a vacation with horses, ice-skating and water sports than a stodgy home-away-from-home.” Camp Wicosuta’s selection of over 30 activities also includes performing and visual arts, athletics, tennis, and gymnastics. 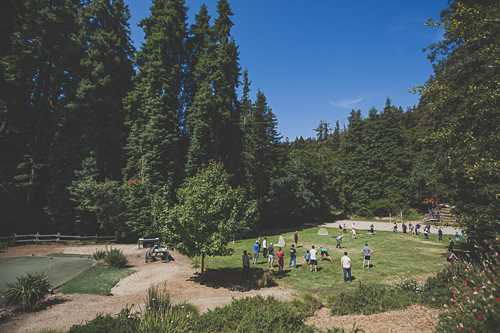 Teachers Marion and Max Caldwell founded Kennolyn Camps in Soquel, California in 1946. Surrounded by the area’s stunning Santa Cruz Mountains, Kennolyn prides itself on its “secluded yet easily accessible” location, which features views of nearby Monterey Bay and the Nisene Marks State Park. 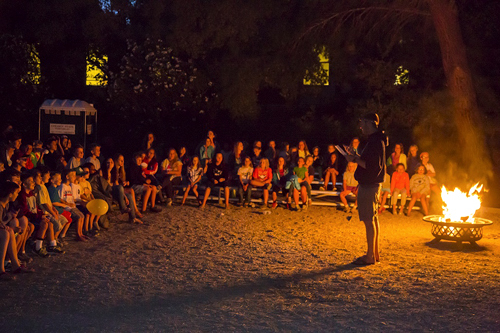 Kennolyn accepts junior campers from the first and second grades and senior campers from the eighth and ninth grades, as well as tenth-grade attendees who can experience its leadership-training program. ACA-accredited Kennolyn offers activities such as archery, basketball, BMX and climbing, plus select options in surfing, trapeze, fencing and horse-related pursuits. The camp’s facilities include an equestrian center, rope courses, and a waterfront that features a 25-yard swimming pool. The website for Hardwick, New Jersey-based Camp Mason sets the bar sky-high: “There’s a feeling you get when you visit… You realize you’ve entered a very special place… An outdoor paradise.” This ACA-accredited, YMCA-run getaway for kids aged between seven and 16 accommodates up to 400 campers in 26 cabins, two lodges and four villages. 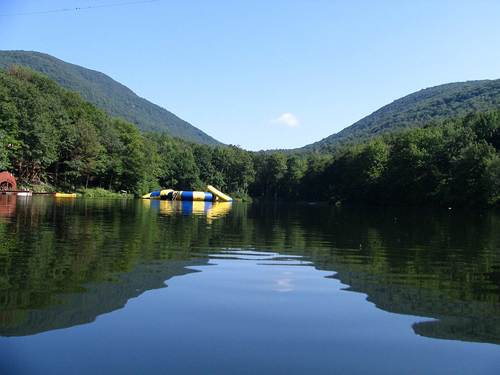 The 460-acre camp was founded way back in 1900, when it was known as YMCA Camp Washington, and is surrounded by the forested mountain terrain of New Jersey’s Delaware Water Gap National Recreation Area. As well as offering a traditional overnight camp, Mason also has a ranch camp specifically for horse lovers plus a day camp. Summer camp activities cover fishing, swimming, boating, soccer, basketball, archery, mountain biking, arts and crafts, and more. Lake Bryn Mawr Camp for Girls – established in 1921 – offers its attendees a natural “safe haven” and the opportunity to express themselves “through work, play and just being a girl.” Based in Honesdale, Pennsylvania, the ACA-accredited camp centers around beautiful Bryn Mawr Mountain and operates under a four-point “Angel Code,” which includes the motivational camp pillars of loyalty, merit, beauty and comradeship. Campers can pick from a dizzying array of activities – among them, navigating a rope-covered adventure course and the Adventure Annex hiking trails. Camp Laurel also boasts the Apple-O-Theater, an art center, a cooking studio, an equestrian center, a pair of swimming pools, a gym, fitness and health centers, 11 full-sized tennis courts, and the “Field of Dreams” softball field. It’s clearly the Four Seasons of summer camps. 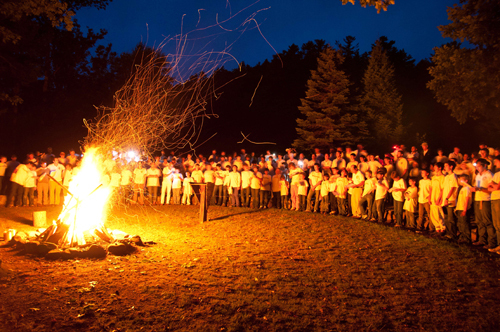 The ACA-certified Family of Camps network in Decatur, Michigan is split into the Lake of the Woods Camp for Girls and the Greenwoods Camp for Boys. Both camps run four- to eight-week programs for 180 children each session, ideal for parents with both sons and daughters. This facility also offers two-week girls’ and boys’ programs at The Glen at Lake of the Woods and The Grove at Greenwoods, respectively. The camp’s amenities include an equestrian center, three baseball diamonds, dance and gymnastics pavilions, and ceramics and arts and crafts studios. Meanwhile, the aquatic options and waterfront boast a 320-acre lake, a heated swimming pool, an aqua volleyball court, a water trampoline, seven ski boats, and numerous boats, boards, canoes and kayaks. SOAR – which is short for “Success Oriented Achievement Realized” – is a network of summer camps for kids aged between the ages of eight and 18. It specifically accommodates those with AD/HD and learning disabilities. SOAR’s origins trace back to 1975, and today it has camps in Wyoming, Florida, California, Costa Rica, Belize and Peru, as well as a “base camp” in Balsam, North Carolina. 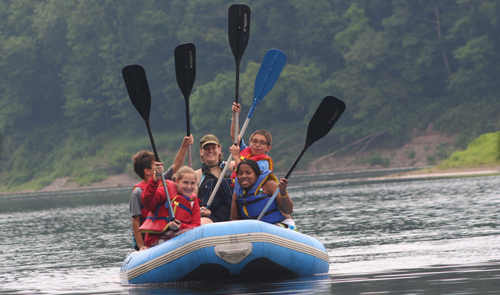 It uses outdoor adventure to develop campers’ “self-confidence, social skills, problem-solving techniques, willingness to attempt new challenges and… motivation.” The Balsam camp also includes activities such as llama trekking, canoeing, horseback riding, backpacking, an expedition course, and an “academic discovery” program. 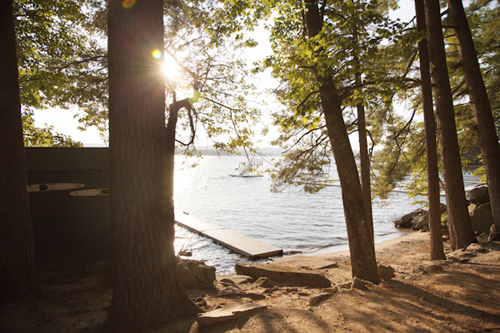 Silver Lake Camp offers boys and girls an easily accessible yet secluded break from city life. 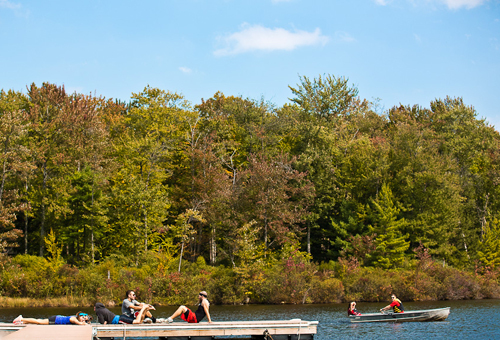 The ACA-accredited camp – which was set up in 2004 at New York’s Swan Lake – offers attendees a big selection of adventure, athletics, performing and visual arts, and water sports activities. The latter include canoeing, diving, kayaking, lifeguard certification and tubing. Silver Lake also affords its intake of 400 a circus program that teaches them juggling, tightrope walking and how to perform on the flying trapeze, to name but a few skills. 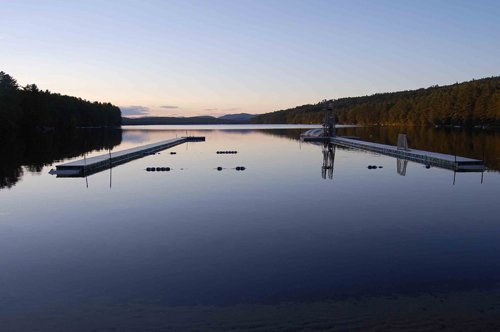 Elsewhere, the camp’s waterfront features a heated and lit swimming pool and a private lake complete with aquatic vehicles. Other facilities include a climbing wall that rises to 34 feet, a 300-foot zip line, a skate park, tennis courts, a theater, a stable, a health center and a soccer field. The WeHaKee Camp for Girls was founded in 1923 near Lake Michigan. However, in the quest for more space, 41 years later it moved to its current Hunter Lake home, close to picturesque Winter, Wisconsin. The location is surrounded by beautiful virgin white pines and used to be a logging camp. The Sisters of the Dominicans of Sinsinawa – who are dedicated to “the care, nurturing and advancement of girls and young women” – sponsor the institution. For its 112 campers per session, lakeside activities at the ACA-accredited institution include water-skiing, wakeboarding and windsurfing. Land sports, meanwhile, cover archery, soccer, basketball and tennis. And for arts and crafts enthusiasts, WeHaKee offers a stimulating program that includes photography, ceramics, pottery, music and drama. Set in the wide-open spaces of Trinity, Texas’s ACA-certified Camp Olympia offers children aged seven to 16 a real slice of the good life. The camp was set up in 1968 by All-American football stars Corby Robertson, Jr. and Chris Gilbert and blends its rustic countryside surroundings with contemporary facilities and a packed activity program. The 336 kids are separated into Spartans and Athenians and compete in daily activities, which Olympia believes “builds a spirit of friendly competition, teamwork and leadership.” Making full use of nearby tranquil Lake Livingston, Olympia’s waterfront line-up covers canoeing, diving, sailing, wakeboarding, and “blobbing,” a tradition that involves “jumping from a platform and landing on a large inflatable.” Meanwhile, back on land, options include horseback riding, an arts program and a junior golf academy. 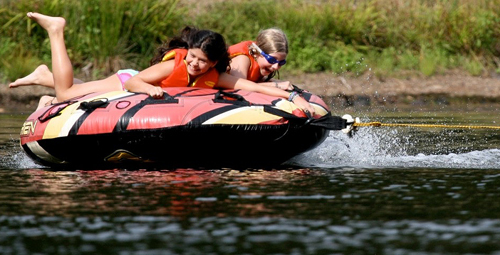 Majestic Camp Weequahic is nestled near northeastern Pennsylvania’s Endless Mountains, on the shores of a secluded lake in Lakewood and close to the Delaware River. Founded in 1953, the camp prides itself on its “exceptionally caring environment,” promising girls and boys aged seven to 16 “the best possible summer camp” experience. Online guide The Camp Insider also references Weequahic’s “down-to-earth” feel, “well educated directors” and “beautiful location.” Creative activities for its 400 campers include fashion design, digital photography, robotics and cooking programs. Meanwhile, sporting activities cover baseball, basketball, soccer, street hockey, golf, and waterfront pursuits like sailing and tubing. 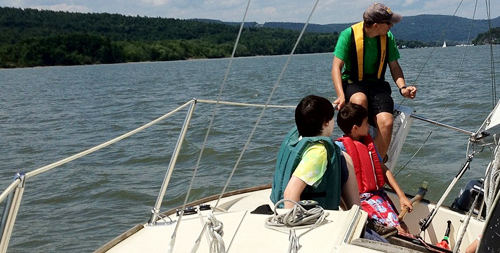 And hiking, ropes and nature walks count among Weequahic’s outdoor adventure options. The campus also features a climate-controlled health center and dining hall plus a heated pool. 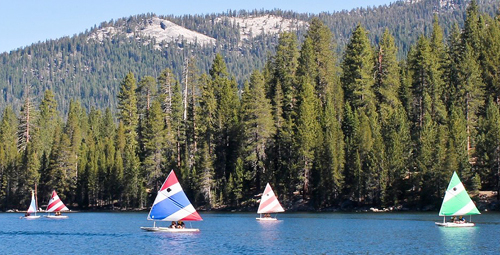 Camp Scherman is an all-girls summer retreat operated by the Girl Scout Council and ensconced in the San Jacinto Mountains in Southern California. 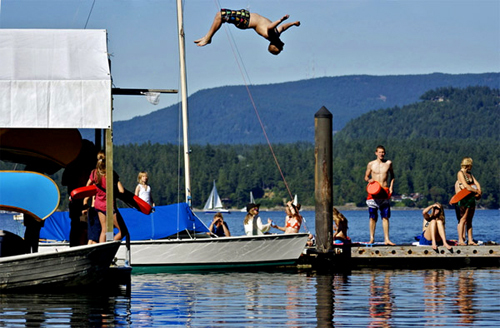 “Escape the everyday,” says the camp’s website, playing off its remote, idyllic location. The site goes on to call Camp Scherman “one of the finest camps” in the area. Founded in 1968, the retreat was named after Joe Scherman, the very first Californian state ranger. 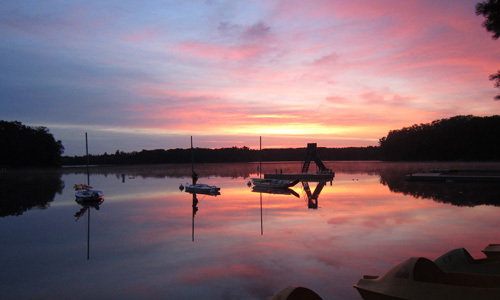 The 700-acre camp’s attractions include Honor Lake and Promise Lake – on which campers can kayak or canoe – plus a junior Olympic-sized swimming pool, an archery range and a sprawling network of hiking trails. Activities range from horseback riding to rock climbing and outdoor cooking. Local magazine Parenting OC awarded the ACA-certified facility “Best Overnight Camp” three years in a row – from 2010 through 2012. Joseph and Milton Kutsher and successful former college basketball coach Clair Bee set up Kutsher’s Sports Academy in 1968. 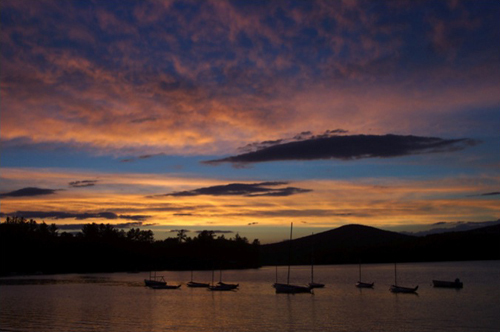 Originally located in Monticello, the camp is now set on Lake Buel in Massachusetts’ Berkshires. From the 1970s through the ‘90s, the ACA-accredited summer camp was the setting for plenty of NBA basketball-associated activity, with court legends like Wilt Chamberlain and Kareem Abdul Jabbar dropping by for visits. It’s also known for its Major League Baseball clinics – while other sporting pursuits include lacrosse, volleyball, soccer and golf. The waterfront program offers boys and girls attending – aged between seven and 17 – activities such as waterskiing, sailing, kayaking, fishing and kneeboarding. Meanwhile, among the facilities are a basketball court, tennis courts and a driving range. With sailboats bobbing around on Echo Lake and tennis courts bordered by 160 acres of lush forest, ACA-accredited Camp Laurel looks like everything a young camper would wish for from a summer getaway with friends. 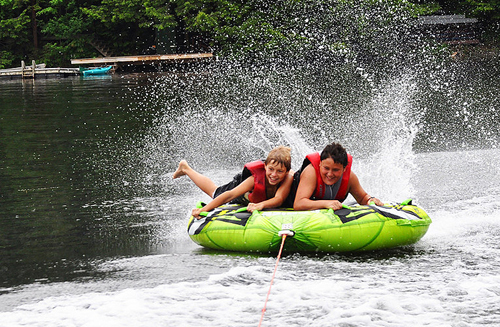 Located in Readfield, Maine, every year Camp Laurel hosts 480 boys and girls aged between seven and 15. The camp was established in 1949 on New York’s Lake Awosting and moved to its current home in 1965. 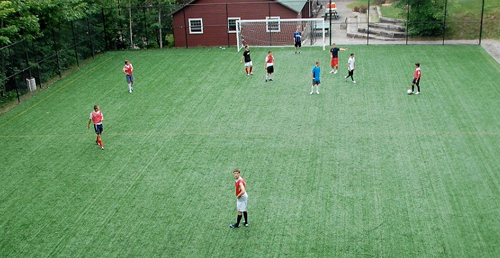 Camp Laurel’s sprawling campus includes facilities such as a pair of lit soccer fields, a hockey field, a roller hockey arena, a cutting-edge fitness center, a gymnastics center and five basketball courts. The camp also has four ski boats, over 30 sailboats, two fishing barges, and a fleet of canoes and kayaks. In short, if a child likes sports, this camp will blow them away. The French Woods Festival camp in Hancock, New York depicts itself as “a performing arts summer camp for circus, dance, music, theater, magic, skateboard and more.” Meanwhile, Lantern Camps describes French Woods as a place where “creative kids from all walks of life find kindred spirits,” but adds: “so do athletes and explorers.” French Woods was started up in 1970 and nowadays welcomes 750 attendees each session. Activities range from music, art and computing to tennis, horseback riding, sailing and water-skiing. “Each camper designs his or her own unique summer experience,” explains the co-ed camp, whose facilities feature five theaters, a prop and costume storehouse, a 12,000-square-foot circus pavilion, an Olympic-sized swimming pool, 11 tennis courts, a skate park and six basketball courts. Famous former campers include Maroon 5 lead singer Adam Levine and New Girl actress Zooey Deschanel. The crystal-blue waters of Brant Lake in New York State give Point O’Pines one of the most charming summer camp locations in the country. The all-girl camp – founded in 1957 – is set on an isolated peninsula in the mountains and features its own shoreline. “The huge beach looks more like something you’d find in the Caribbean, and the recently remodeled facilities and dining hall all enjoy broad lake views,” states Lantern Camps. 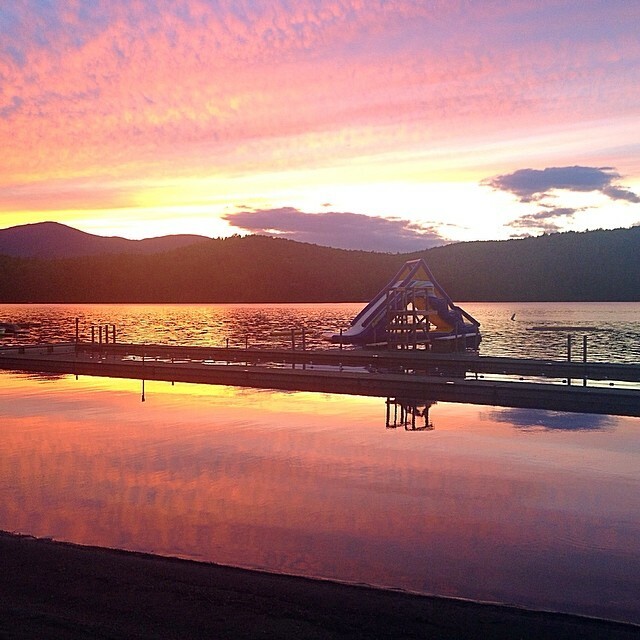 “At Point O’Pines, we match the beauty and splendor of the Adirondacks with the superb quality of our facilities and equipment,” explains the camp on its website. One unusual yet notable example of its resources is the greenhouse, where kids can learn about organic gardening and go on to cook its produce. Other activities for Point O’Pines’ 300 campers per session include a water trampoline, tennis, golf, arts and crafts, dancing, softball, and horseback riding. 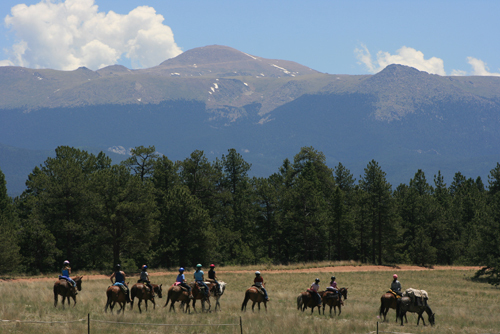 Sanborn Western Camps includes the Big Spring Ranch for Boys and the High Trails Ranch for Girls, which together per session accept 270 campers aged between nine and 16. Sanborn also offers a junior program for seven- to 10-year-olds. 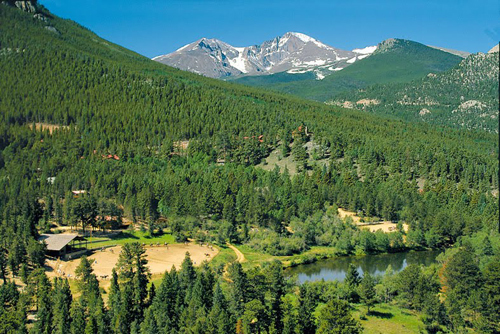 Surrounded by the Rocky Mountains in Florissant, Colorado, the ACA-certified Sanborn taps into the idea that children “benefit from time spent in the natural world.” Its forests of ponderosa pines and Douglas firs provide the perfect setting for outdoor summer exploration. Sanborn began with the Big Spring Ranch for Boys, which was founded by Laura and Sandy Sanborn in 1948. The High Trails Ranch for Girls was added in 1962, and the junior program came into being in 1989. Activities range from cattle round-ups, rock climbing, horseback riding and volleyball to pottery, drama, photography and fossil digging. 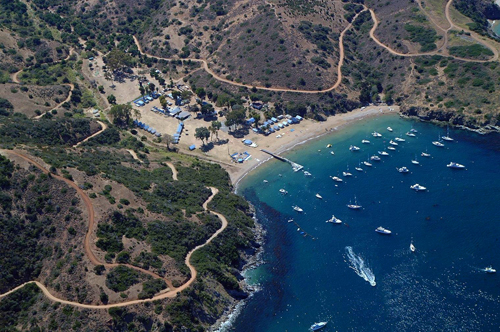 Set on the beautiful waters of the Pacific Ocean, Catalina Island Camps almost looks more like an expensive island retreat than a traditional summer camp. The ACA-accredited co-ed camp was inaugurated in 1922 on an archipelago in California’s Channel Islands and is blessed with the “unique marine and land environments of Howlands Landing” – like its own cove plus neighboring kelp forests. “The southern California sunshine is tempered by the gentle ocean breezes, allowing the camp season to be spent almost entirely outdoors,” writes Lantern Camps, adding that “the ocean [is] literally steps from a wide-open cabin.” Fun island activities for Catalina’s 160 campers include sailing, snorkeling, power boating and stand-up paddling, while climbing, ziplining, gardening, outdoor cooking and photography count among its land-based options. Activities include hiking, backpacking, horseback riding, technical climbing, rafting, mountain biking, stand-up paddle boarding, archery, riflery, crafts, sports, a challenge course, and more. The Cheley Mission states “We build the lasting character of young people, creating unique life experiences in a challenging and nurturing natural environment.” Great things happen when youth and mountains meet.